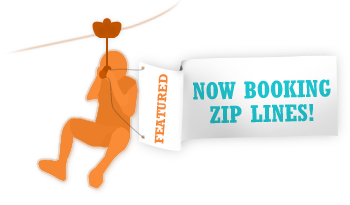 Little Critters rents a variety of inflatables, and now zip lines! All of our equipment is SETUP and STAFFED for your safety! Little Critters is owned and operated by Jay and Judy Rowles of Watertown, Tennessee, and has been in business since July 2000. Little Critters is a Christian based business, and the owners have resided in Watertown for 20 years. Our business is family owned and operated, and that's why we can offer the best services at the lowest prices. 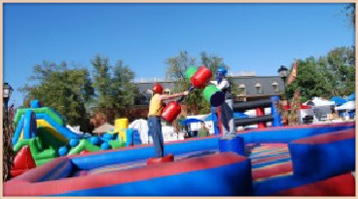 Little Critters features budget-friendly private parties with amazing inflatable bouncers, slides, obstacle courses, and a petting zoo that delight active kids. 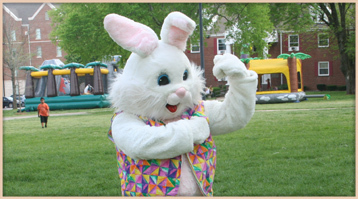 Little Critters can also plan your corporate party! We have an excellent staff who will take care of all of the planning and details for you, making your next event a breeze! We have been creating unimaginable fun with high quality custom interactive games, and we come professionally staffed with safety as our number one goal. 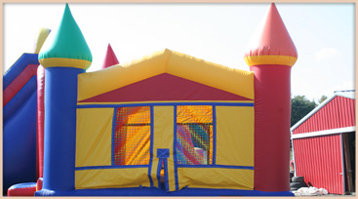 With our expertise in party planning, we are sure to make this the best party event imaginable for your guests. When you want to make a big impression for your guests, call the best....Little Critters! 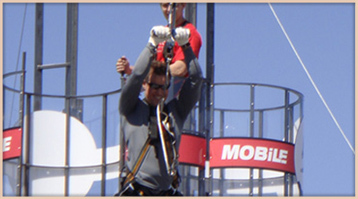 You can now rent the newest in extreme fun – a mobile zip line for your next party or event! 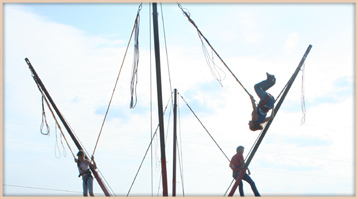 Get the adrenaline rush of bungee jumping without the risks with our inflatable Bungee Run! 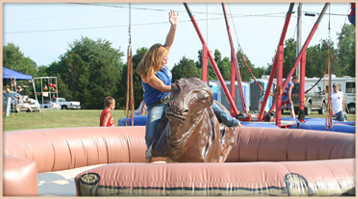 Bring the flair of the rodeo to any local event with Little Critters' Mechanical Bull! 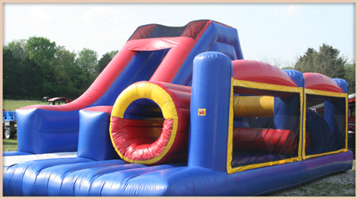 Littler Critters' Inflatable 3 Piece Obstacle Course is great for events or parties with lots of high energy! 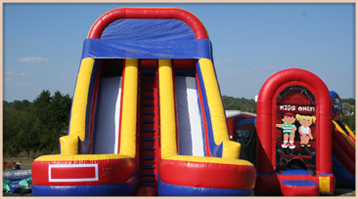 All of Little Critters' inflatables are clean and set up with safety in mind, including our inflatable Two-Lane Bungee Run. 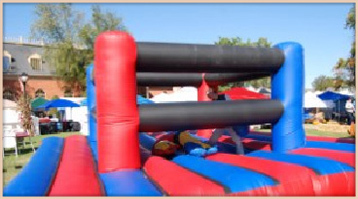 Littler Critters' Gladiator Joust is great for events or parties with lots of high energy! Box with an opponent using oversized gloves! 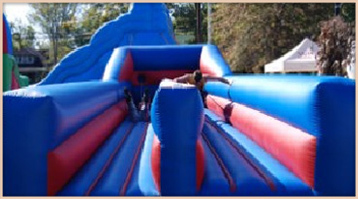 This inflatable is great for events or parties with lots of high energy! 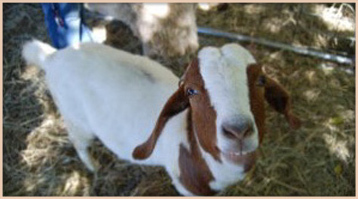 With over 13 animals to choose from, Little Critters' Mobile Petting Zoo will come to you! 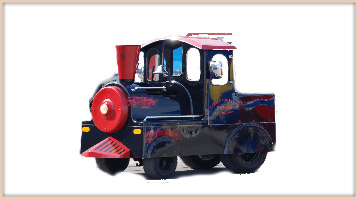 The Little Critters' Trackless Train holds up to 24 kids & runs on grass, gravel, and pavement. 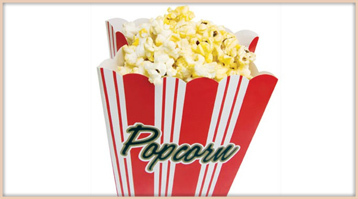 Little Critters' Concessions provides Cotton Candy, Snow Cones, Popcorn, Hot Dogs, Nachos, etc. for your party or event! Located in Watertown, Tennessee, we staff ALL of our equipment and serve, deliver, and set-up in all of Middle Tennessee, including: Lebanon, Mt. Juliet, Watertown - Wilson County; Murfreesboro, La Vergne, Smyrna, & WalterHill – Rutherford County. We can also travel to Nashville, Hermitage, Donelson, Franklin, Brentwood, Spring Hill, Gallatin, Castalian Springs, Smithville, Hartsville, and more! webmail site map Web Design and Hosting by Visionary Design Group.